YOUR SEARCH IS OVER!! You don’t want to miss this MOVE-IN READY condo located in one of South Tampa’s premier “MAINTENANCE FREE, ” GATED, WATERFRONT Communities!! This beautiful FIRST floor, corner unit features 2 bedrooms, 2 bathrooms, NO NEXT DOOR NEIGHBORS, a SCREENED LANAI, an open floor plan with the kitchen opening up to the living/dining room combo, NEW AC UNIT, and has many upgrades like stainless steel appliances, gorgeous granite counter tops, breakfast bar, plantation shutters throughout, and hardwood floors. Both bedrooms have carpet and tile in the entry way and wet areas. French doors lead out to the screened patio. THE OWNER ALSO OWNS A BOAT SLIP FOR SALE (SOLD SEPARATELY) WITH A #13K BOAT LIFT & CAN ACCOMMODATE A 37FT BOAT!! Culbreath Key Bayside Condominiums offers WATERFRONT Resort Style Living at an extremely affordable price. 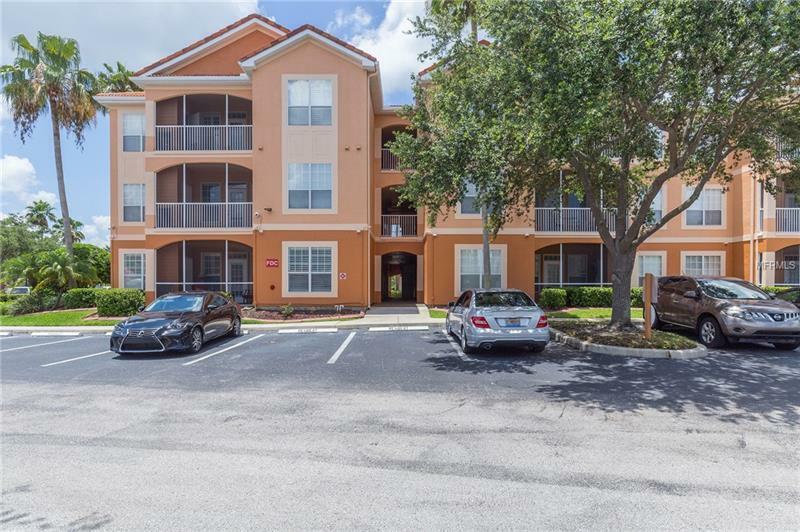 Just a few steps away from this condo is the Stunning Community Pool with a view that over-looks a peaceful canal that leads straight out to the bay, 24/7 fitness center, and multiple sunbathing decks with outdoor grills and furniture great for entertaining!! Take in the Breathtaking views with your furry companion on the walking trail that includes dog care stations and a dog park. Bring your own paddle board or kayak cause there are storage racks and a stairway launch dock! Just minutes away from MacDill AFB, businesses, downtown Tampa, and office buildings. Do not miss out on this Very Affordable opportunity to live right by the bay!! Come home and Relax with the Beautiful Sunset that lays over this complex!